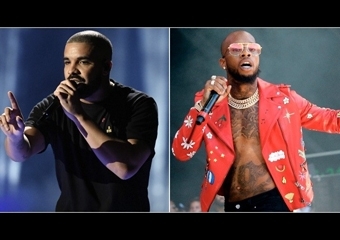 Good news, Drake and Tory Lanez are gearing up to go on tour together. Champagne Papi announced the European Tour with Lanez via social media on Monday night. “ASSASSINATION VACATION UK and EU tour tickets on sale Friday!! !” wrote Drake on Instagram. “Me and @torylanez w/ opening sound set by @tiffanycalver.” For all U.S. Drizzy and Fargo lovers, you better search for flights now because the tour kicks off in two months. The Assassination Vacation Tour will take place between the months of March and April, and includes shows in the U.K., Ireland, France, Belgium, and the Netherlands. They will perform for multiple shows in one country.